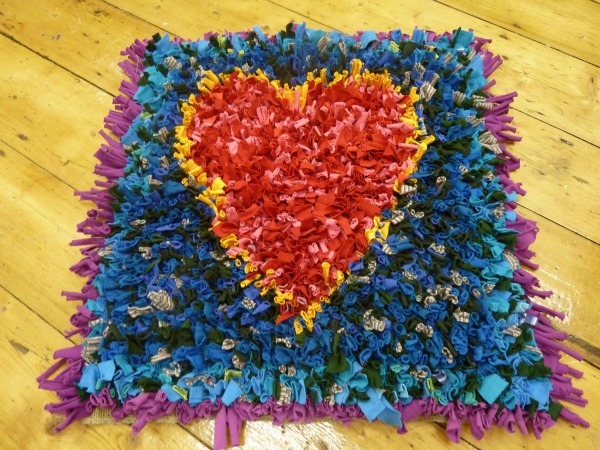 Learn the basics of hooking, prodding and latching, use recycled fabrics to make a rag rug. Learn how to set up a frame, prepare your canvas and materials, using recycled materials & transfer a pattern to your hessian. Several techniques will be taught on the day concentrating on latching or looping techniques and a section of rug completed. Includes materials for use on the day, frames and hooks/latches etc can be bought for cost price on the day to take away. Encourages the use of recycled materials to make long lasting, eye catching and hard wearing rugs. £35 including materials and refreshments.